Interested in one of our dogs. Fill out our Adoption Application and someone will get back with you. Interested in helping our rescue by Fostering a dog. 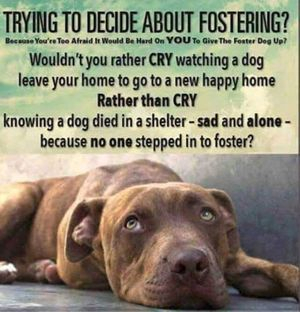 Fill out our Foster Application and someone will get back with you. We always need people to share on social media, grant writers, transporters, dog coordinators, foster homes, fundraising teams, people to screen for foster and adoptive homes, vet checks, We are a 100% volunteer organization and we are grateful for all of our volunteers who enable us to do the work we do saving lives. Even if you can only spare a few minutes, we'd love to have you come join our team. Email Suzie if you would like to help. We are not currently accepting volunteers seeking service hours.